- PFS / Photo Finishers Supplies Inc.
With the KODAK Print Place Tablet, your business can become a Wi-Fi enabled photo kiosk location without a big investment in dollars or floor space. Customers can create stunning 4x6 in., 5x7 in. and 6x8 in. prints, picture cards, collages or ID prints quickly, simply, and affordably in store. It's fast and fun as consumers can also Wi-Fi their pictures directly from their smartphones with the free KODAK MOMENTS App. And it's a great way to build loyalty with customers who love using new technology that's both convenient and cool. Digital cameras and mobile devices were expected to capture one trillion images in 2015. Of those images, 80% came from mobile devices. Now you can capitalize on this huge change in the way people preserve memories by creating your own KODAK Print Place. With Print Place, you don't need a big investment in equipment or a lot of floor space. Put your Print Place on a counter, or in almost any compact area, and offer customers an easy, fast way to make high-quality prints from their digital files. 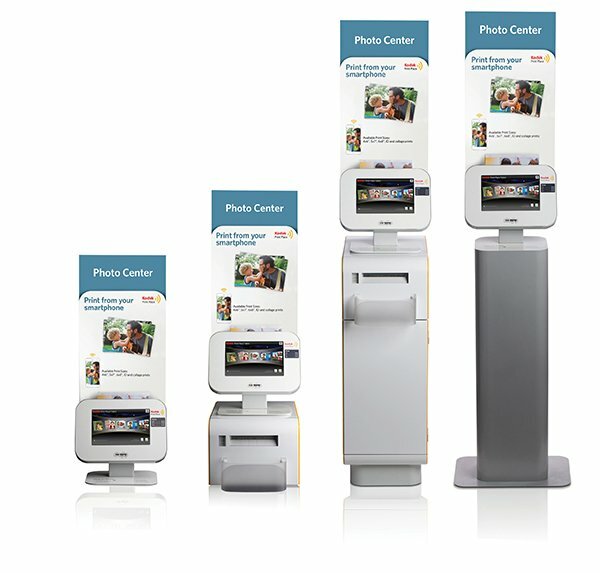 With the free KODAK MOMENTS App, your customers' phones become image creation and ordering devices for your Print Place. Print Place becomes an innovative, totally functional photo printing experience for your customers and a great profit center for you. And thanks to its handy size, you can even take your system on the road to capitalize on photo printing at weddings, parties, corporate events, and other occasions. It's the system that fits almost everywhere, powered by the best available imaging technology. The key to designing a smartphone printing system is to keep it simple. The KODAK Print Place is designed to eliminate confusion and hassles so customers can quickly print and be on their way. With the KODAK MOMENTS App, customers can create and send completed orders directly to the printer.